How to Automate Cash Allocation Process? Organizations are typically distressed concerning upgrading to new technology however automation really saves businesses money by streamlining inefficient financial processes like manual cash allocation which might be terribly resource intensive. Cash automation will bring added value by increasing the speed at which transactions are made, scale back errors and increase productivity of staff by allowing them to focus on more value added tasks to create a more profitable risk free environment. AutoRek's solutions are purpose-built to improve the quality and efficiency of financial data management, from cost reduction and process efficiency projects, to improving adherence to regulatory reporting requirements. VanguARd™, an automated cash allocation tool matches amounts received in the bank in any currency to any format of remittance advice, approves the values and automatically applies the money to sales and debtors ledgers in order to match to unpaid invoices. The business benefits of AutoRek includes- reduces production costs of management information and the reliance on IT to cut data and produce reports, reduces financial and operational burden of regulation and improves visibility of adherence to service level agreements. Move ahead and read the following whitepaper that will address all your questions, including these: What are the key challenges in manual processing? How AutoRek Cash Application works? What are the key features of AutoRek's Cash Application Process? What are the business benefits of AutoRek? How to Automate ATM Cash Management? Banks are still practicing manual accounting methodologies to settle their ATM transaction data as we proceed closer to industry 4.0. Processes usually have manual controls, internal uncontrolled interfaces, substandard information quality exacerbated by increasing volumes, and systems that are inflexible and don't support reconciliation and reportage needs. Automated solutions enable banks to enhance customer satisfaction, reduce costs, generate incremental revenue and improve the efficiency of their self-service channel. ATM Cash reconciliation solutions leverage the settlement processes and confirm the operational stability through accurate matching of cash withdrawal, and cash replenishment at the client managed ATMs. 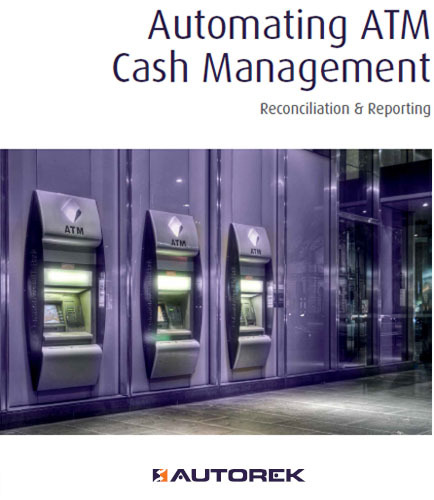 This white paper introduces a cost effective, clear and actionable control regime to be put in place that fully supports– ATM cash management, reconciliation and reporting totally configurable to satisfy your specific business requirements, and also educates how to boost operational performance, mitigate risk and approach efficiencies, in a robustly controlled and auditable atmosphere. Read this whitepaper that will address the following questions: What are ATM reconciliation and cash management challenges? 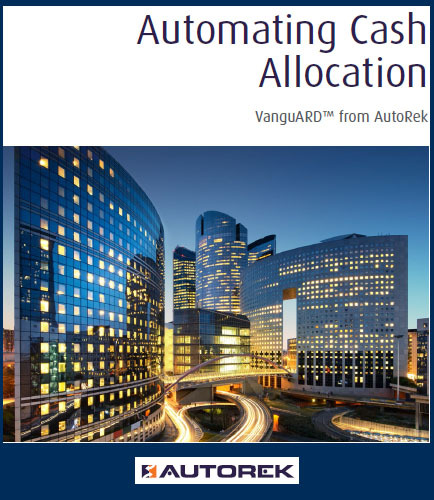 What is the AutoRek's approach to ATM cash management? How ATM cash management can be supported by implementing a cost effective, robust, automated control regime? Insurance is an extremely competitive business that hinges on providing the industry-leading service to customers. Precise data is the lifeblood of this business. This white paper offers wide range of data management solutions that allow insurance firms to complete their financial, operational and risk control and reporting regimes. The application of these product(s) within the insurance sector is determined by the gaps in any client's current systems landscape and control regime. Agile to ever-changing regulatory requirements and increased financial controls scrutiny, their suite of solutions works with the client's existing systems to automate and complete the firm's control regime. This whitepaper explains the business benefits insurance firms can achieve from implementing this suite of solutions through: Reconciliation, Operational General Ledger Accounting and Financial close management/ SOX compliance. This white paper explains: What are the key features of this reconciliation solution? How to improve your business’s existing ERP system capabilities? 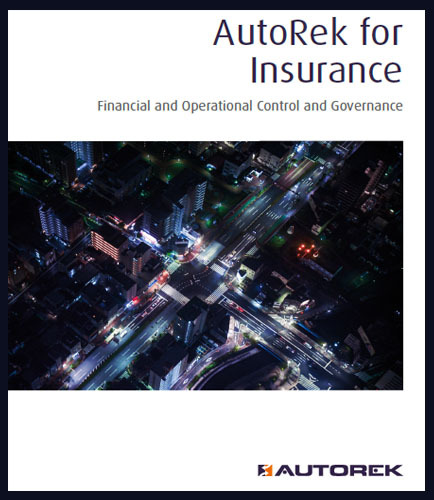 What are the business benefits insurance firms can achieve from implementing AutoRek Solutions? How to manage your financial controls gaining efficiencies, mitigating risk and enhancing controls? Financial control must contend with complicated data environments, regulatory pressures and ever-present need to gain efficiencies. As businesses become more ascendable, a tactical solution to collate or analyze huge sets of data is no longer sustainable. A robust process is needed that can manage financial controls and track transactions and accounts through their lifecycle. Managers would like access to key data in period of time and have problems escalated to them as they happen. This white paper informs how dashboards and workﬂows can accomplish that— from assignment of individual responsibility to account attestation and regulatory reporting, providing a strong robust automated financial control framework to completely support financial management. This whitepaper addresses present-day financial controls questions, such as : How to manage financial controls and track transactions and accounts through lifecycle? How to build a robust control environment and how to deal with complex data environments? What are the risks of tactical solutions? How to control the period end process? How a financial control framework supports financial management? 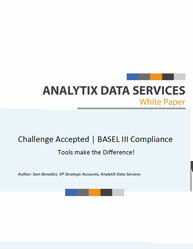 Challenge Accepted | BASEL III Compliance-Tools Make the Difference! Basel III is an opportunity as well as a challenge for banks. It can provide a solid foundation for the next developments in the banking sector, and it can ensure that past excesses are avoided. The Basel Committee on Banking Supervision (BCBS) is the primary global standard-setter for the regulation of banks. Although the Basel Committee has recognized the banks are making efforts in mitigating these risks, they still feel more needs to be done. This whitepaper on “BASEL III Compliance” gives an insights into overcoming the difficulties faced in governance of risk data aggregation and to reap full benefits of reporting capabilities in Banking and Financial Institutions. What are the significant challenges faced by banks when they are implementing Basel III? 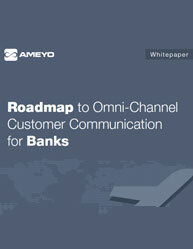 How to best implement a solution that allows the banks to comply with Basel III? How to streamline systems and processes for improved operational effectiveness? What are the guiding principles for effective risk data aggregation and reporting? The complexity and requirements of Basel III and the commercial demands of the banking world will require a flexible Basel III management solution that delivers speed, accuracy, and performance to gain competitive advantage. 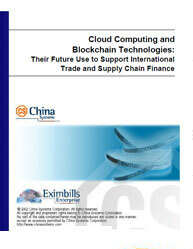 Cloud Computing and Blockchain Technologies: Their Future Use to Support International Trade and Supply Chain Finance A combination of Cloud and Blockchain will potentially transform the current paper-based trade finance approach for the processing and management of trade transactions into a more inclusive digital and efficient platform. Cloud computing and Blockchain Technology also have the potential to expand the intermediation of a bank’s involvement in open account transactions. Banks are taking a great interest in Blockchain Technology as a potential way of unblocking complex processes that involve different third party touch points. A technology provider that fails to develop its approach to Cloud computing and to the Blockchain developments mentioned in this paper may find that existing clients move away from them at time of renewal and that they are disqualified from RFIs as Cloud- and Blockchain- based solutions become critical selection criteria. This whitepaper on Cloud computing and Blockchain Technology Covers: Transactional banking-The way forward the trade Network Data-Flow –Cloud-based Blockchain Technology Trading. How new technology is forcing disruption in the transaction banking sector Why adoption of Cloud computing by a financial organization will represent a major change to its existing technology management, resource and policies. Vertical Solutions will be a key component of the future transformational journey for financial services institutions. In Financial service industry,the business applications landscape is changing rapidly, and firms must act fast to cater to evolving customer demand. Financial service institutions (FSIs) need business applications that can deliver new business capabilities more flexibly including analytics, business intelligence, CX, and digital business processes faster. Read this insightful whitepaper that brings you the trends, drivers, and challenges of the business applications environment in financial services enterprises. It addresses questions like: How Vertical solution integration will be a key component of the future transformational journey for financial services institutions? What are the top business imperative that drives company’s transformation initiative to improve customer experience? Would your firm consider transforming its current landscape of financial-services specific business applications? What financial services firms do to simplify the business application environment ? 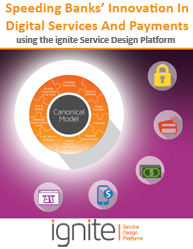 How to overcome the key challenges faced in financial service business applications?